Cast screen is a technology that allows a person to display whatever is visible on his/her device's screen on another screen, wirelessly using WiFi as a medium for sharing the screen. 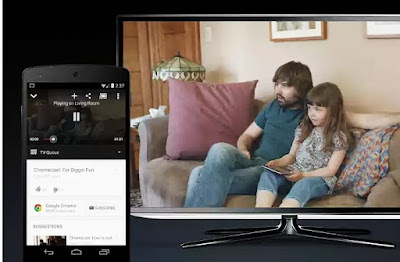 If you’re an Android TV user, you wish to cast on a bigger screen, then you would like to install Google Cast Receiver. Android TV casting feature can't be conpared to the actual Chromecast, but Google updating new features to fix this. A new beta version of the Casting Receiver for Android TV, which will be the first place new features and improvements show up. This is quite different from the previous and is in beta mode, so you won’t get a whole new casting experience as soon as you move into the beta program. However, this is the newest features and fixes before they roll out more stable versions. 1. First you need to become a tester for the app. To do so, visit the Google Cast Receiver testing page, and click the “Become a Tester” button. Ensure you are logges in to the Google account associated with your Android TV. 2. 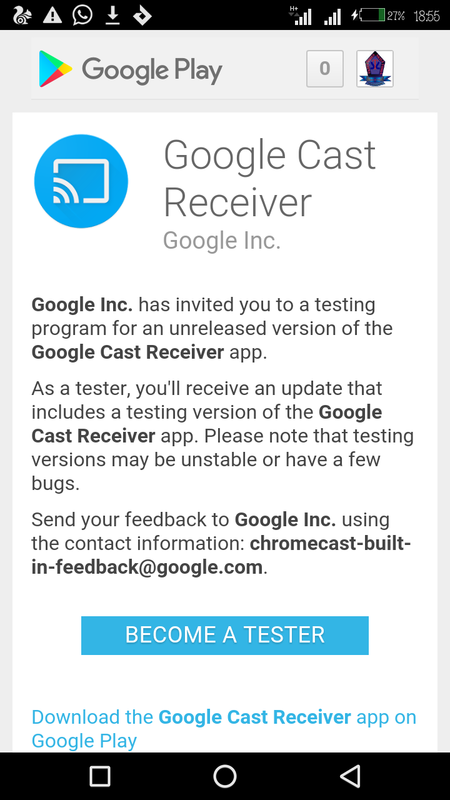 Next, Click "Download the Google Cast Review app on Google Play" and you will be redirected to play store to download it. Once you have installed it, you can constantly update it as new update rolls out. If at any point you notice something buggier or generally worse, you should definitely let the Casting team know about it by submitting a bug report to [email protected] This helps them find and identify bugs as new code is implemented. You should be aware that this is a beta version and might not be stable in some device. If you wish to transfer to the previous version, just go back to the Become a Tester link and click the “Leave the Program” link.